These images showcase significant and exemplary works from various shows between 2003 and 2006. Solo exhibitions included: Stay on Message, Maunsell Wickes @ BSG, Sydney (2005); We Gotta Get Outta This Place, Jan Murphy Gallery, Brisbane (2005); and New Works at Maunsell Wickes @ BSG, Sydney (2004). 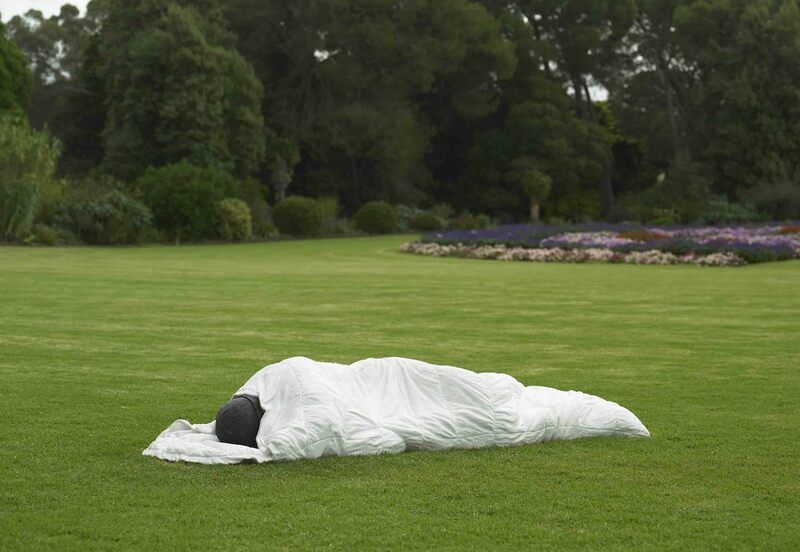 Group shows included: Sculpture by the Sea (2003, 2004, 2006); the Woollahra Small Sculpture Prize (2005), The Year in Art, S. H. Ervin Gallery, Sydney (2004); the McClelland Sculpture Survey and Award, McClelland Gallery and Sculpture Park, Langwarrin (2005); Artists Against Sedition Laws, Casula Powerhouse, Casula (2005); and the Helen Lempriere National Sculpture Award, Werribee (2006). Unsettled, 2006, Wombeyan marble, 45x75x200cm. The Modern Panopticon, 2004, Bianca marble, 100x80x200cm. Photo by Jack Bett. 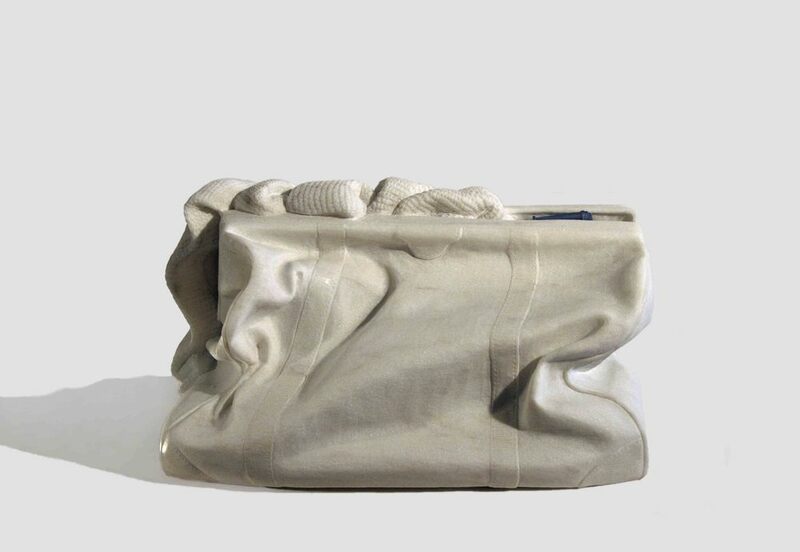 Reverse Garbage, 2005, Belgian marble, polyethlene ribbon, 70x50x50cm. Blue Electric Eagle Day, 2005, various marble, 8x78x38cm. The Razor, 2005, Statuario marble, stainless steel, 14x125x77cm. My Own Private Tardis, 2005, Rosa Portugal Marble & Caesarstone, 35x56x45cm. 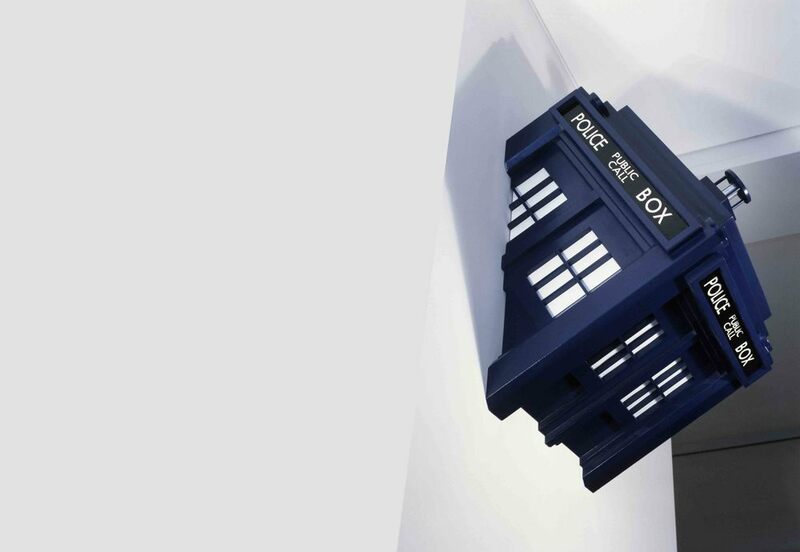 My Own Private Tardis (detail), 2005, Rosa Portugal Marble & Caesarstone, 35x56x45cm. Wrong CoOrdinates, 2005, MDF acrylic, 105x50x50cm. 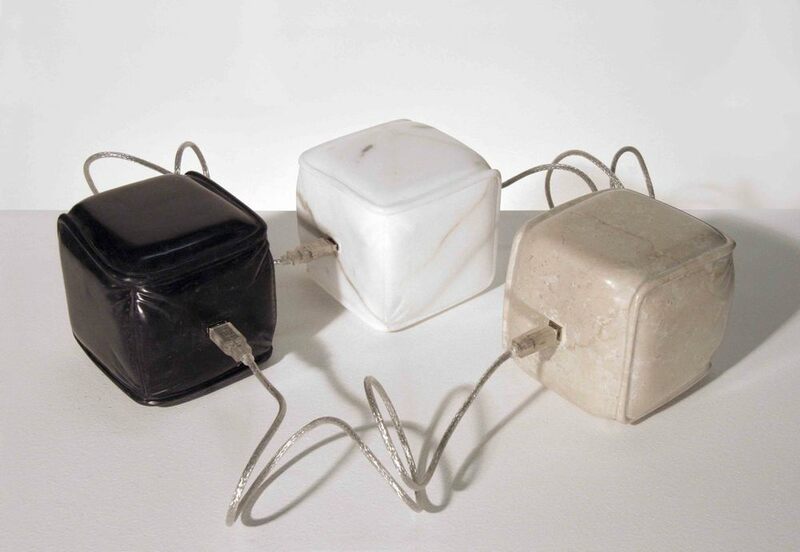 USB Stones™, 2005, various marble, USB Cables, dimensions variable. The Explorers, 2005, fibreglass, acrylic casts, ed. 16, 58x62x52cm. The Bean Bag Suite, 2004, Bianco marble, 90x55x14cm.